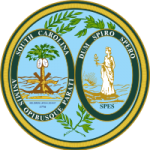 The South Carolina Child Support laws set forth the conditions upon which a child support order will be issued. In addition, they set forth how paternity shall be established and the jurisdiction of the court in establishment of child support orders. The laws also provide for wage garnishment and other enforcement remedies for people who fail to pay as directed.